A collection of the very first, the very last, and the very best interviews conducted with Prince over his nearly 40 year career. 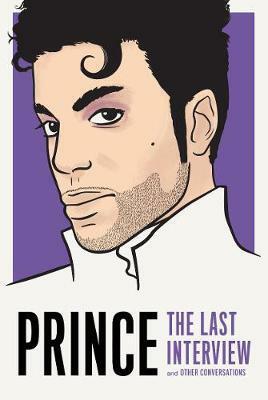 There is perhaps no musician who has had as much influence on the sound of contemporary American music than Prince. His pioneering compositions brought a variety of musical genres into a singular funky and virtuosic sound. In this remarkable collection, and with his signature mix of seduction and demur, the late visionary reflects on his artistry, identity, and the sacrifices and soul-searching it took to stay true to himself. An Introduction by Hanif Abdurraqib offers astute, contemporary perspective and brilliantly contextualizes the collected interviews. Born in Minneapolis in 1958, Prince Rogers Nelson was one most influential artists of the last 40 years, inspiring generations of musicians that have followed in his footsteps. Beginning with his debut album in 1977, Prince released albums now considered classic until his fame reached spectacular heights in the 80s, culminating in the duel album and film PURPLE RAIN, which he directed and in which he starred. A conflict with his label led him to famously release music under his trademark symbol throughout the 90s. In the final years of his life, Prince continued to release platinum selling albums, including his 39th and final studio album HIT N RUN PHASE TWO, released only months before his untimely death on April 21, 2016. Hanif Abduraqqib is the author of the New York Times bestseller Go Ahead in the Rain: Notes to a Tribe Called Quest as well as the essay collection They Can't Kill Us Until They Kill Us.